Here we are folks with a really cool Rag that has hit the streets and hit them hard, this is a well groomed and fed magazine, packed with many great features and articles that will make you sit your arse down and do something rare, Read!!! The wait is over! 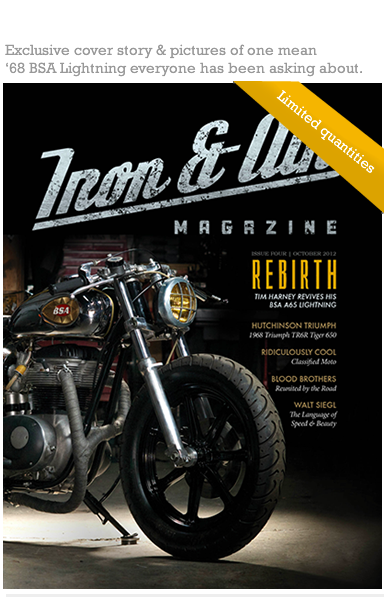 Iron & Air Issue Four – Special Printed Edition is now available! This is no ordinary magazine*. This is a quality piece you will want on your coffee table for years to come. 112 pages filled with the moto love. As a limited edition, when they’re gone, they’re gone. 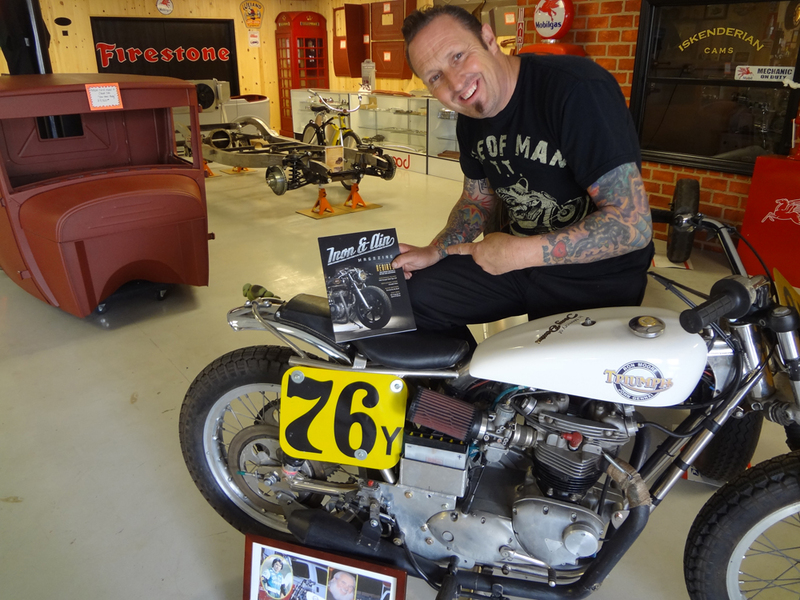 Johny Ryland of Classified Moto falls for bikes late in life, and we’re thankful. Two brothers reconnect carving up Big Sur California in Open Road. 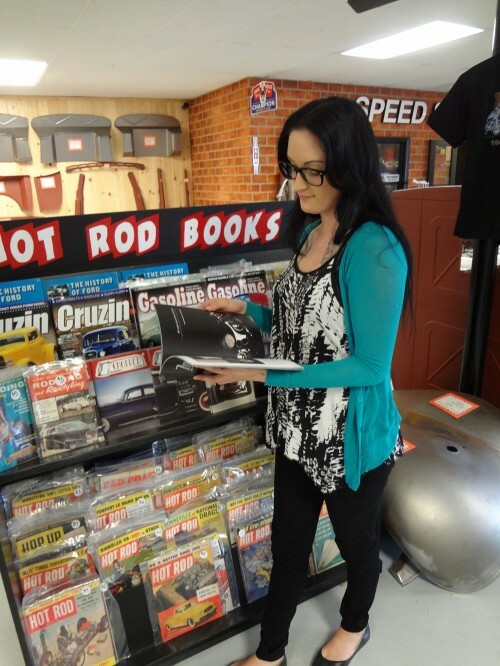 Here at Nostalgia Speed & Cycle, we like to promote anything that is cool, this magazine is cooler than an Eskimo’s fridge and really good reading. Available from us here any time and of course, we ship all around the globe, as this is a really cool Coffee table magazine/book that will get read time and time again. Click here to buy the magazine! This entry was posted in Blog and tagged Ink & Iron, magazine. Back from UK and raring to go.